Save the bees! They need both pollen and a home to survive, emerging in early spring at the same time as early blooming flowers like crocuses (with multiple flowers and long stamens, they are a bee's best friend!). 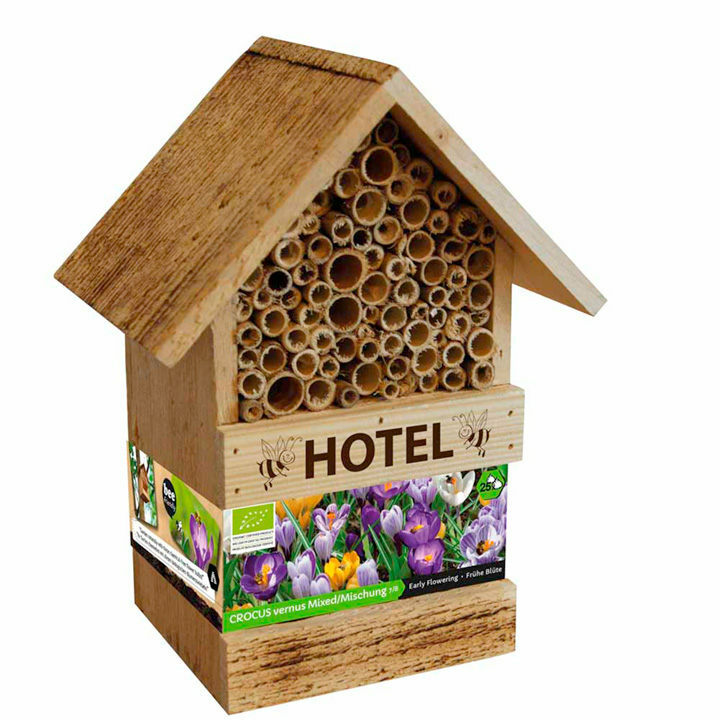 Our bee hotel provides a natural winter shelter, protecting wild bees from cold and predators, and comes with 25 botanical crocus bulbs which will naturalise and multiply year after year. Hang in a sunny, sheltered spot.